... The only substantial buildings were the kyaungs most of which were in use as quarters for the troops, for the civil officers and as offices. Thus “we found the Artillery mess established in an elegant building of moderate dimensions, supported by eight massive pillars and the whole of the inside of the fabric being gilded.” Phayre’s own quarters consisted of “fine kyaungs on a plain south of the stockade,” and his office was in a kyaung at the corner of the present Commission Road and Pagoda Road, the offices of the Deputy Commissioner and of the Treasury being in a kyaung to the north of this; these buildings were on land now occupied by the Government High School. There was a hotel, curiously named “The Railway Hotel” although there was no railway but it was only “a hut constructed of matting, roofed with leaves,” on a swampy site. On payment of Rs 5 the guest could stay the night there, but he had to find his own bed. It had a licence to sell liquor and its billiard room was the resort of the drunkards of the town. “Every vestige of the old city of Rangoon (except some portion of its brick pavements, some of its wells, a select few of its pagodas and shrines and a small number of Kyoungs or Burmese monasteries,) had been utterly destroyed. Ancient kyoungs within the stockade had been preserved and appropriated for public offices and the residence of the most consequential of the military authorities and some dilapidated buildings, (one the late palace of the Burmese Governor,) had been converted into commissariat godowns or warehouses and barracks for the clerks. Many Government employees immediately after the proclamation of peace and annexation, had no habitations assigned them on shore and at first were compelled to live on board the vessels lying in the river, pending the erection of temporary huts for their residence near the stockade. Those persons unconnected with Government, who were desirous of settling in the country, had to provide themselves with the means of shelter as they best could, whilst the soldiers were encamped in their tents. 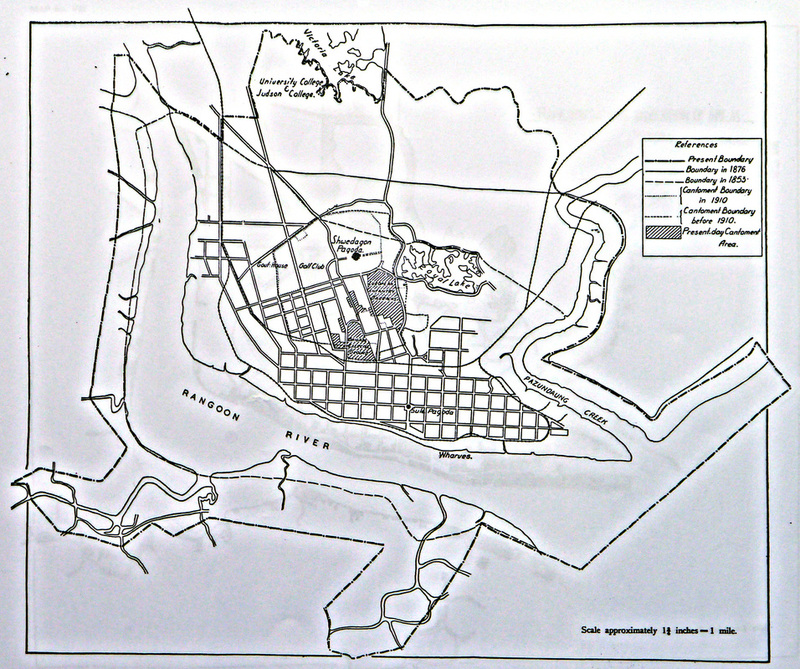 ... To the south-east of the Dockyard, at Botataung, an enterprising builder who took advantage of the housing shortage, had erected a “treble range” of wooden barracks, commonly known as “Godfree’s Range” which he had partitioned off into separate apartments and rented at an enormous rent..... There was only one shop of any size, “a large edifice of bamboo and thatch,” comprising the general store of Messrs. Jordan & Co. Most of the offices which were erected were sited between the Sule Pagoda and the river. The British Burma Secretariat was on the Strand, in a building completed in 1867 which became in turn the Telegraph Office from 1895 onwards and the Postmaster General’s Office after 1917. Next to the Secretariat was the Treasury and Deputy Commissioner’s Office in a brick building erected by M.F. Crisp, on a site later used for the Post Office and now for the office of Motor Vehicles Dept. of the Rangoon Police and other public departments. Behind these buildings, facing Merchant St. was the original Post Office. On the other side of Sule Pagoda Road, on the site now occupied by the Reserve Bank, was the Court of the Recorder, the Recorder-ship having been established in 1863 for the adjudication of more important civil cases and the trial of sessions cases within the limits of Rangoon. On the site of the present new Law Court’s were the Public Offices and next along the Strand the Custom House, the R.C. Cathedral, completed in 1859, at the corner of Merchant St. and Fytche Sq. where the office of the Hong Kong and Shanghai Banking Corp. now stands. The A.B.M. stood in Phayre St. at the junction of Merchant St. on the site now occupied by P. Orr and Sons. The Armenian Church stood, as it still does, on Merchant St. at the corner of Sparks St. The Chief Commissioner vacated the kyaung in which he first lived and after occupying for a time a building on Commissioner Rd. usually known as “Phayre Lodge,” now the residence of the Headmaster of the Government High School, moved in the 1860’s into a timber house in the compound of the modern Government House. An Anglican Church was built, services had been for a time held in a kyaung in the Cantonments on the east side of Voyle Rd. but in 1855 the Bishop of Calcutta laid the foundation-stone of a Church of St. Andrew on a site near the end of Barr St. close to the public Offices. This church was, however, never actually built and services were held for a period in a small wooden building in the town until in 1857 the small attendance and the disrepair into which the building had fallen led to the closing down of these activities. A Town Church Committee, consisting of Capt. Brooking, C.M. Crisp, Lt. S.T. Trevor, Executive Engr. and G.B. 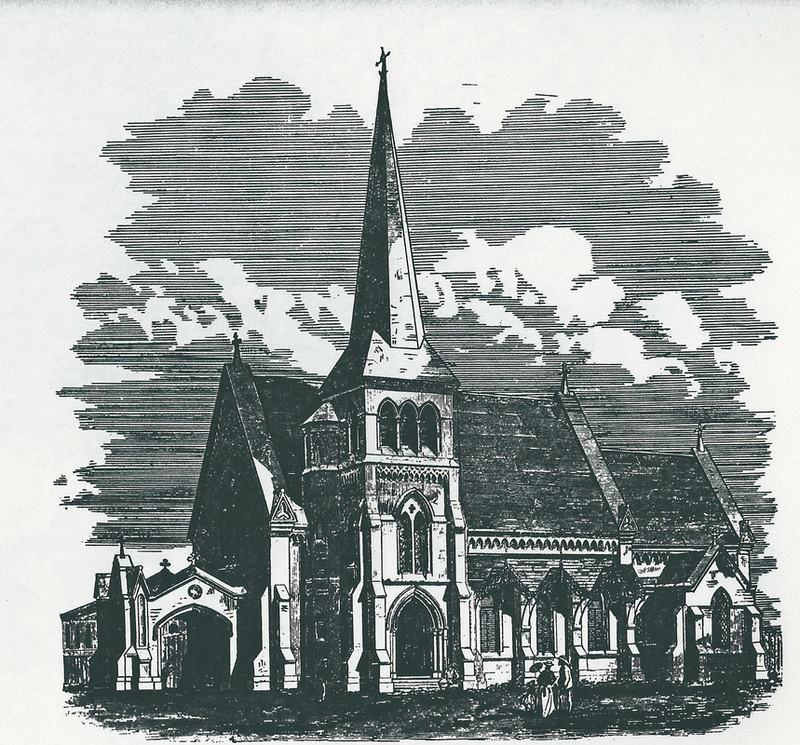 Howard was then appointed and this Committee arranged for the exchange of the original site in favour of another farther west and in 1865 the Holy Trinity Church, designed by Capt. J.M. Williams, Executive Engineer, was completed on a site by the river between the Strand, Mogul St., Merchant St. and 27th St., where formerly the Government fish-market had stood. In the Cantonments the existing iron church was erected in 1857, the Governor-General, Lord Dalhousie, having subscribed Rs. 250 upwards the re-gilding of the Shwe Dagon. The R.C. Church of St. John was built in the Cantonments in the same period and also came into use in 1857. A lunatic asylum was completed in 1870 alongside St. John’s Rd., opposite the wooden gaol which was one of the first buildings erected after 1852 and which stood on the site of the modern gaol. On the site of the present General Hospital was the garden of the Agri-Horticultural School, established in 1865; this Society held annual fruit, flower and vegetable shows for many years and within its gardens was the Phayre Museum, completed in 1871, partly by public funds as a testimonial to Sir Arthur Phayre and partly by a Government grant of £500. The building was designed by H.M. Matthews, Executive Engineer and was sited approximately opposite the chief Commissioner’s former residence. The Museum was supported by the Govt. 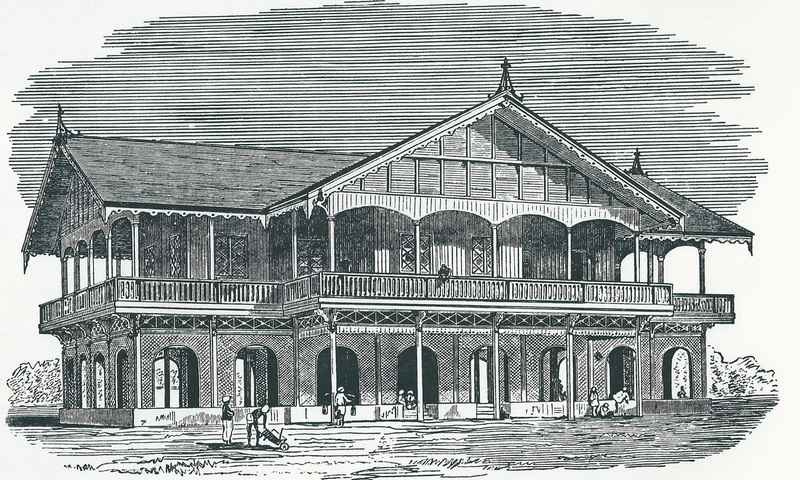 with a grant of $10 p.a., of places of recreation and amusement, the principal was the Assembly Rooms, built where the Jubilee Hall now is, it was “a huge, barn-like structure” of timber, but had magnificent chandeliers and oil-lamps, was equipped with sofas and lounges and had a library and billiard room. It had been built in 1854-55 by shareholders, but was never a financial success and had ten years later to be taken over by the Cantonment Magistrate. There was also the Young Men’s Literary Society, instituted in 1857, which had a large lending library containing many excellent standard works and is of much use in encouraging a taste for sound literature. It changed its names in 1870 to “The Rangoon Literary Society” under which it is still known. Another public amenity was Dalhousie Park, the area round the Royal Lakes, which Lord Dalhousie, being “much impress with the beauty of the scenery and the great and enjoyable advantages which it will add to the residence of those whose duty will bring them to Rangoon,” had ordered to be reserved for public use. Plans for laying out the grounds were made in 1856 by William Scott of Calcutta Botanic Gardens and a drive encircling the lake was proposed, but the Dalhousie Park Committee appointed by Government for the care of the area appears to have failed to carry out the Governor-General’s intentions and only a short and narrow drive was made, while the Park in general “was almost entirely covered with jungle and was swarming with snakes.” Encroachments occurred, Chinese market gardens occupied parts of the park and the original area had thus diminished from over 400 acres to about 300 when, in 1871, the Town Magistrate, Capt. Evanson, had the drive widened and extended, but the limited funds prevented any real development. The most popular open space in those days, when the mass of population of all classes lived in the centre of the town, was the Strand, which was a favourite place for evening drives. ......Tank Square, near the Sule Pagoda, which in 1867-68 was cleared and levelled and laid out as a public recreation ground under the name of Fytche Square, after Sir Albert Fytche. 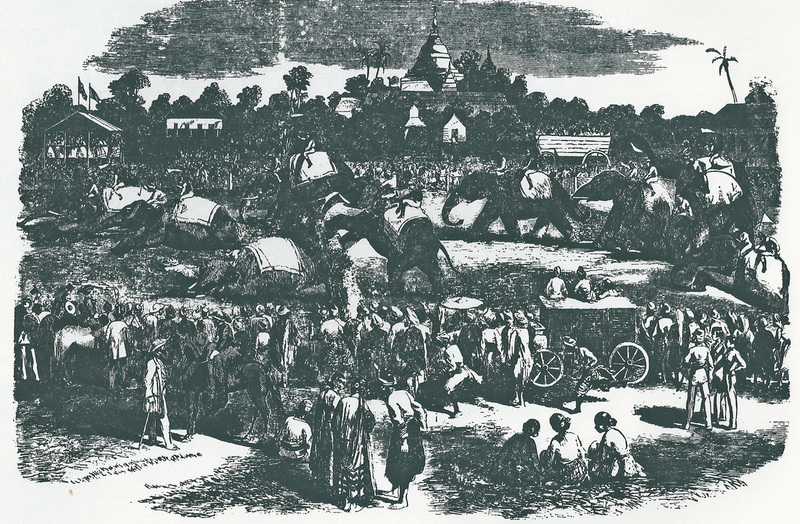 The people of Rangoon had another valuable open space in the maidan, the parade ground of the garrison, which, though not a public park, was used for certain public amusements, notably racing. From the earliest days of British Rangoon, the officers of the garrison organised race-meetings. There is evidence of a meeting in 1858, when a “Monsoon Meeting” was held, which ended up with two pony steeplechases and, curiously, an elephant steeplechases. The ponies employed were generally Shan ponies, brought down, as they had been for centuries, to Rangoon by Shan traders, who had their centre near Kemmendine in the neighbourhood of Shan Road which derives its name from a Shan village situated there. The meeting appear to have been semi-private occasions however and there was no Turf Club and there was no regularly organised meetings for many years. In 1887 the irregular race-meetings which had been held on the maidan were succeeded by regular organised racing and though for a year or two at the end of the century racing curiously languished, by 1900 it had been revived under the rules of the Calcutta Turf Club. To provide better facilities, the section of Simpson Road which ran across the maidan was closed and a new road known as Lawfurd Road after the officer commanding the Cantonments at the time, was established neat the northern verge of the maidan. Education in Rangoon received a certain amount of official encouragement from the beginning of the new regime. 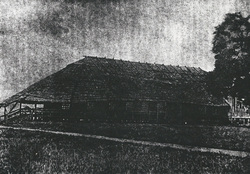 A Government School was opened in a thatched shed in the town in 1856, with Rev’d. Mr Rose in charge, aided by two assistants, but the school, whose work was primarily vernacular instruction, was prohibited from giving an English education to more than thirty-five pupils and this restriction drove many parents to send their children to inefficient private schools. By the end of the year 1860-61 the school not unnaturally had only some thirty pupils and it was then closed. Better work was done by the religious bodies. Bishop Bigandet, who was in Rangoon from 1856 till his death in 1894, founded St. Paul’s School when , in 1859, he obtained the services of three Brothers from Calcutta, who began teaching in a small building near his residence. In 1861 the school had already outgrown this accommodation and in May 1861 was moved to a small building between 35th Street and Barr Street. The American Baptist Mission Normal School founded at Kemmendine by Mr Vinton also did good work. In 1862 the Anglican Diocesan Schools were founded on a site at Pagoda Road, granted by Government, under the auspices of the Society for the Promotion of Christian Knowledge, these schools were dual in character and the boys’ and girls’ departments were separated by a wooden fence. They were under the management of a committee which included Sir Arthur Phayre and T.P. Sparks. The Society for the Propagation of the Gospel founded St. John’s College in 1864 with the Rev’d. J.E. Marks in charge, the school occupied its present site in 1869 and nine years later an offshoot of the College, St. Michael’s School, was established at Kemmendine. In 1866 a girls’ school St. Mary’s was founded by Miss Cook, and in 1872 the American Baptist School, now known as Cushing Hall School after J. N. Cushing who was principal from 1894-1906, was formed. The formation of the Department of Public Instruction in 1866 gave a stimulus to educational work. The grant-in-aid system was adopted and grants were made also for buildings. 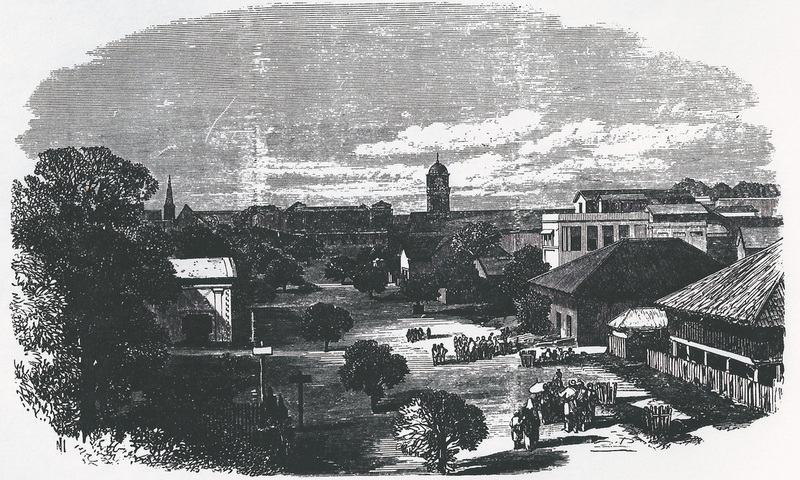 Thus the sum of Rs, 20,000 was given to St. Paul’s School in 1868 and a new school was opened near the Sule Pagoda on a site where the City Hall now stands. St Paul’s was probably the most flourishing school in Rangoon at this time and by 1872 the daily attendance was 245, mainly European and Anglo-Indian boys, who were instructed in English, Ancient History, geography, Arithmetic, Algebra, Euclid and that now-forgotten subject, the use of the globes. Government in 1867 established a Training School which in 1874 developed into the Government High School with a training class attached to it. The school, opened originally in Phayre Lodge, was under the charge of J.H. Gilbert, who had been a successful headmaster of the Town School at Moulmein. In 1873 a Government school for Burmese girls’ was opened. East Rangoon developed much more slowly. It was early proposed to lay out the Botatuang and Pazundaung areas on the chess-board pattern and a causeway six feet high and fifty feet broad, known as Monkey Point Road, was run across the swamps towards the Pazunaung Creek, while Montgomerie Street was also extended as far as the creek and a road, the Pazundaung Road, was as early as 1858 aligned behind the timber-yards along the bank of the Creek. Otherwise, however, no development was attempted in East Rangoon which, except for the mills and timber-yards verging the River and Creek, remained an area of swamps and paddy fields. In 1869 it was noted that “to the east of Sparks Street, there was no pucca buildings,” and a map of 1871 confirms this statement. Dalhousie Street had, however, by 1871 been extended as far as the Pazundaung Creek; and one or two roads had been constructed in Theinbyu where, nevertheless, houses were yet few. Dalla likewise remained underdeveloped except for the Government Dockyard. Kemmendine had been laid out on the chess-board plan, in 1855, but elsewhere to the north of the town the country lay waste. There was about in 1870 a project for making a road from the river at Kemmendine across country through approximately the present Windermere Park area to the Pazundaung Creek, but nothing came of what was, at that time, an entirely useless scheme. There was no demand for communications so far out of town; even on the north of the Dalhousie Park there were in 1870 only three houses. These were Lake houses, occupied by Edward Fowle, Advocate, Merchant, Consul for Siam, formerly a partner in the firm with a remarkable name of Currie, Fowle & Co.; West House, occupied by a partner in the firm of Gladstone Wylie & Co.; and Anchorage House, built by Mr Hotson of Buchanan & Co. In Kokine there was not a single house until about 1874, when Alexander Watson of the Chartered Bank built a small bungalow there, though his action in living “so far out in a thick jungle” was viewed with astonishment by his friends. In Boundary and Windsor Roads, then known as Magistrate’s Boundary Road and Cantonment Boundary Road, there was in 1870 scarcely a house; and in Ahlone hardly any except those attached to the American Baptist Mission. Officer Commanding the Cantonment, the Sanitary Officer of the Cantonment, the Cantonment Executive Engineer and the Cantonment Magistrate. This body formed in effect a municipal committee and the Municipal Authority of the Rangoon City had no jurisdiction within the Cantonment limits. The Officer Commanding had the power of veto over the decisions of the committee. Included within the Cantonment was the Shwe Dagon Pagoda, the precincts of which had from the first been partially utilised for military purposes. It had been intended to fortify the platform, since it contained the arsenal and was also the centre of defence in case of civil disturbance, but it was some years before any attempts were made to carry out this plan. Not till 1867 was this work begun; but in 1876 “the great pagoda and arsenal of Rangoon have been completely surrounded by a ditch and escarp wall and further safety has been ensured by shutting off all communication between the pagoda and the arsenal, the latter being now completely entrenched.” At the same time the defences at Monkey Point were put in order. The Cantonments provided a useful amenity for the town in the Cantonment Gardens, which had been originally planned in 1854-56 by Mr Scott of the Calcutta Botanic Gardens, though the actual laying-out appears to have been effected partly by Col. Oliphant of the Public Works Dept. and partly by Major G. Harris of the Commissariat. It was to the Rangoon Cantonment that the last Mogul Emperor, Abu Zafar Bahadur Shah, was sent after the Indian Mutiny and there he died in 1862 and was buried in a compound on the south side of Theatre Road. ...and the removal of the garrison to Mingaladon in 1928. One effect of this latter change was that, as only a skeleton force was maintained to hold the barracks on the Pagoda Hill, an area of 654 acres of land was transferred from the Cantonment Authority to the Municipality, so that in effect the Cantonments came to consist only of the Sale Barracks to the south of the Shwe Dagon and a few houses and offices by Voyle and Godwin Roads. The platform of the Pagoda was entirely demilitarised and the Prendergast Barracks along Prome Road were made over to the Burma Military Police. .... Indeed in 1867 the German community was sufficiently numerous to form a German Club, on a site in Commissioner Road, its later building, erected in 1890 is now utilised by the Convent. In 1894 at the British India Hotel which stood in Sule Pagoda Road on the site later occupied by P. Orr & Sons, a public meeting was held which agreed to inaugurate league football. There was some degree of difficulty within the first few weeks of the league’s formation and the Gymkhana Club withdrew, but a new secretary was then elected and the league was resumed. Games were played on the grounds of the members-clubs until in 1897 permission was granted for the use of the maidan. In 1895 the association adopted the name of the Burma Assoc. Football League but in 1898 it added cricket to its activities and in 1899 the present title of the Burma Athletic Association was brought into use. Hong King Club, China St.
Rangoon was a rapidly growing and changing city. The 1870’s, 1880’s and 1890’s saw much development of public buildings, which reflects the growth of Burma and therefore of Rangoon in commerce and prosperity. New Law Courts were begun in 1875 on the Strand, where the old Public Offices stood and where the new Police Courts now are. In the same year the Presbyterian Church was opened on Signal Pagoda Road, a building towards the cost of which Government contributed £600 on condition that one hundred and fifty seats were reserved for the use of troops, Government also made a monthly grant to the Minister in consideration of his services among the soldiers. A new Post and Telegraph building was erected on the Strand on the site of the Treasury and Deputy Commissioner’s office, the old Post Office building continued in use as the Government Press. In 1878 the Mayo Home for Sailors, named in honour of the late Viceroy, was opened near the river opposite Brooking Street. In 1882 the Bernard Free Library, so called in honour of the Chief Commissioner of the time, was opened in Commissioner Road. In 1885 the Municipal Committee purchased for one lakh of rupees a building known as Ripon Hall on the north side of Fytche Square, for use as a municipal office, selling the Shafraz Road Office for Rs. 34,000. The building thus acquired was old and in poor condition, but was capable of a few years’ service. The new office, known as the Town Hall was taken into use on the 19th November 1886. In 1887 the Dufferin Hospital was opened, several municipalities displaying their interest in its work by establishing scholarships tenable thereat. 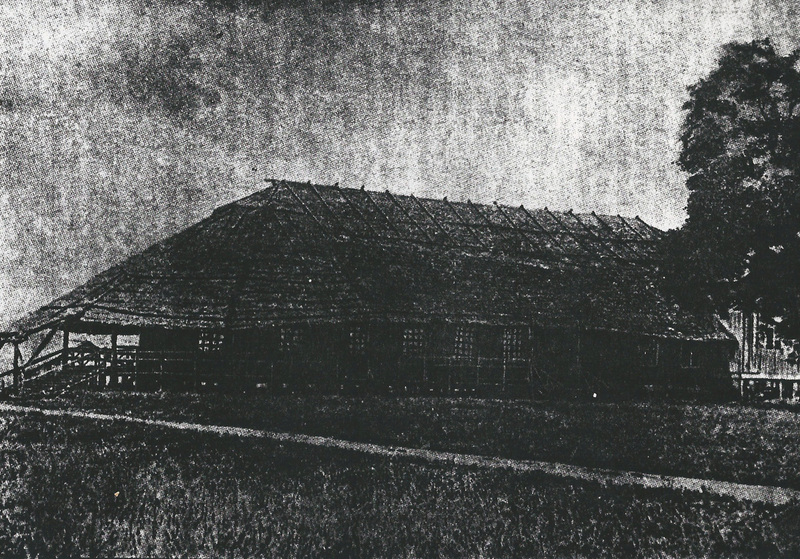 In 1890 a new Secretariat building was commenced, for with the annexation of Upper Burma the Secretariat had expanded considerably and the accommodation in the old building was no longer adequate. The new building, which consisted originally of only one block, erected on the north side of Dalhousie Street between Sparks Street and Judah Ezekiel Street, was completed in 1893 and two years later the east and west wings were commended, these being completed in 1905. The total cost of the whole building was Rs. 25,00,000. A new Anglican Cathedral was built in the same period, in 1890-91 the old Town Church by the river was demolished and the site sold, work was commenced on the new Cathedral within the compound of the Diocesan Schools and the building was brought into use on the 18th November 1894. Mr Hoyne-Fox being the architect. Rangoon Trades Assoc. founded in 1898. Another illustration of the outward movement was to be found in the establishment of the new University of Rangoon estate near Kamayut. The old Rangoon College, charge of which Government had resumed from the Education Syndicate in 1904 and the American Baptist Mission College which had developed as an offshoot of the Baptist High School (now known as Cushing High School) in 1894, were incorporated in a University of Rangoon in 1920, so ceasing to work under the regulations of the Calcutta University. A change of nomenclature was at the same time adopted, the Rangoon College becoming University College and the Baptist Mission College adopting the name of Judson College in memory of the founder of the Mission. Between the years 1924 and 1932 these institutions were gradually removed to new buildings on the northern boundary of the city. The present century has seen a continuous improvement in the public buildings within the city proper. A number of expensive public institutions have been erected, one of the principal of which is the General Hospital. The old timber-built hospital had by the early 1880’s become much to small, the Civil Surgeon annually complained of overcrowding and pointed out that patients had to be accommodated on the verandahs for lack of room in the wards. ...Ultimately the Government assumed responsibility for the hospital as of the 1st December 1902 and it was then decided to replace the old building... by a new building to be erected on the site of the Agri-Horticultural Society’s premises. The society was given new grounds at Kandawgale and in 1904-5 it removed thither, the Phayre Museum for which the Society had been responsible, being in October 1904 made over to the Archaeological Department and the exhibits housed for a time in a building in York Road until in March 1905 they were transferred to the Secretariat. 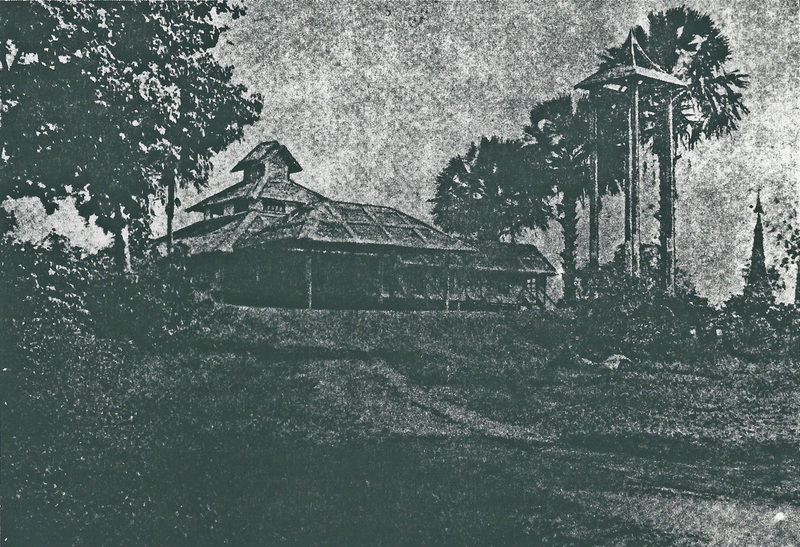 When the Agri-Horticultural Society’s premises were removed to Kandawgale a separate Zoological Garden was established. An exhibition of wild animals had been instituted in connection with the Phayre Museum in 1882 in the grounds of the Agri-Horticultural Society but in 1901 a subscription list was opened for the provision of a separate Zoological Garden as a memorial to the late Queen-Empress Victoria.... Government granted sixty-one acres of land near the Royal Lakes and after the squatters had been evicted and the area had been reclaimed, the animals were removed to their new quarters. The Victoria Memorial park and Zoological Gardens were formally opened in January 1906 by the Prince of Wales. Among the exhibits was King Thibaw’s White Elephant, which had been brought to Rangoon in 1887 and which survived till 1910. In the same period the Chief Court Buildings, now the High Court, necessitated by the establishment of the Chief Court of Lower Burma in 1900, was commenced in 1905 and completed... in 1911. A new Government Press Office was completed in 1910 , a new Customs House in 1915 and a new Central Telegraph Office in 1917. In 1923 the Agri-Horticultural Gardens were again moved to the present premises adjoining the Zoological Gardens which gave up twenty acres for the purpose, the Society’s former site was reserved for the still un-built museum and for a technical school which also has not materialised, the ground is in fact now in use as a playing field. An enlarged Dufferin Hospital was completed in 1930, in 1929 the new Lunatic Asylum at Tadagale was occupied and in 1931 the new Police Courts were completed. ... The Municipality continued to occupy the Strand site as tenants until the new market, known as the Scott Market after Gavin Scott, the Municipal Commissioner, was completed in 1926. The new Strand Wharf was completed in 1930 and formally opened in 1931. Public amenities have also received a good deal of attention. Dalhousie Park which had been placed under the charge of the Municipal Committee in 1885, although not properly laid out till 1897 had by 1903 become “much neglected and it will take a considerable time and cost much to get it into proper order again.” Mr J. Short, the Secretary of the Municipality, who had carried out the improvements in the 90’s again took it in hand, and under his “tender care” in the words of the Municipal Report for 1904-5, it became “ a unique combination of natural beauty and the art of landscape gardening.” On his retirement in 1907, Mr Short was appointed Honorary Curator of the Park. Fytche Square, where in 1896 had been placed a statue of Queen Victoria, a gift to the city from Messrs. Balthazar, was improved in 1903 by the erection of a bandstand, presented by Messrs. M.F. & E.I. Cohen. A year later plans were made for the establishment of the Dufferin Gardens in east Rangoon and also for a park in west Rangoon which, on completion was taken over by the Municipal Committee in 1913.